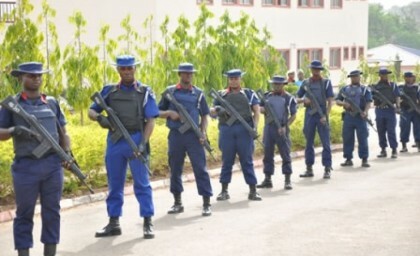 (NAN) An 18-year-old Boko Haram suicide bomber, Amina, who was intercepted by men of Nigeria Security and Civil Defence Corps (NSCDC) on Tuesday in Maiduguri, said she was given N200 for the mission. She told our correspondent in Maiduguri that she was abducted two years ago by the sect members in Madagali, Adamawa, and taken to Sambisa forest. “ It took us three days to come to Maiduguri on a motorcycle. We were directed by the sect members to detonate our explosives any where we saw any form of gathering. The Theater Commander, Operation Lafiya Dole, Maiduguri, Maj.- Gen. Lucky Irabor, confirmed that the suspect was in custody of the Army, and that she would undergo investigation. “One of the bombers got scared and threw away her bomb and was instantly arrested, while the other one began to run after people with her explosive but luckily, she was shot on the leg by our personnel after he chased her to a safe place,’’ Ibrahim said.